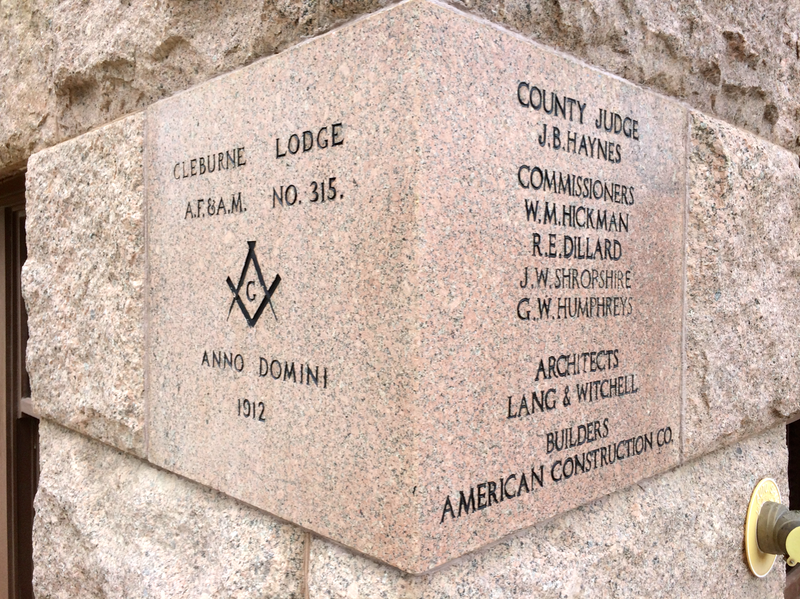 I’m a neighbor of Cleburne and Johnson County, but the official date I was their guest was May 24, 2014. 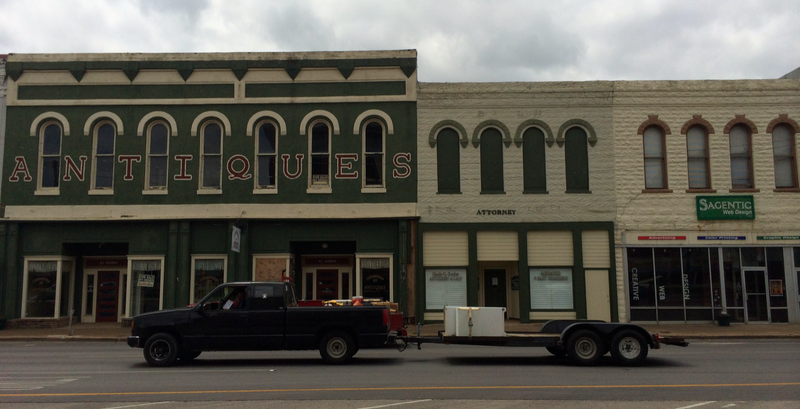 This county was something of an anomaly: right next door, but #146 in the project. By #35, I’d been to every other bordering one. Johnson County’s first courthouse was nothing short of a log cabin and stood in the original county seat, Wardville. 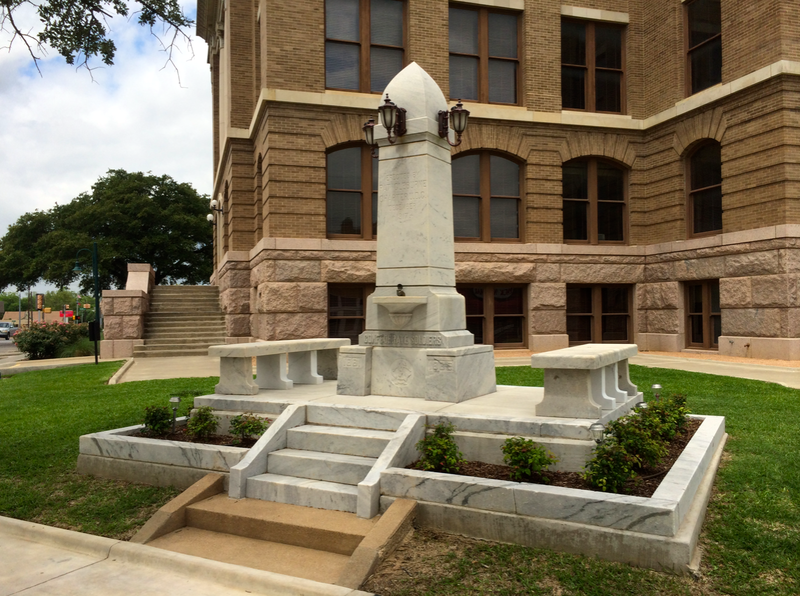 Its recorded dimensions were 14 x 14 and it was constructed by William O’Neal in 1854. 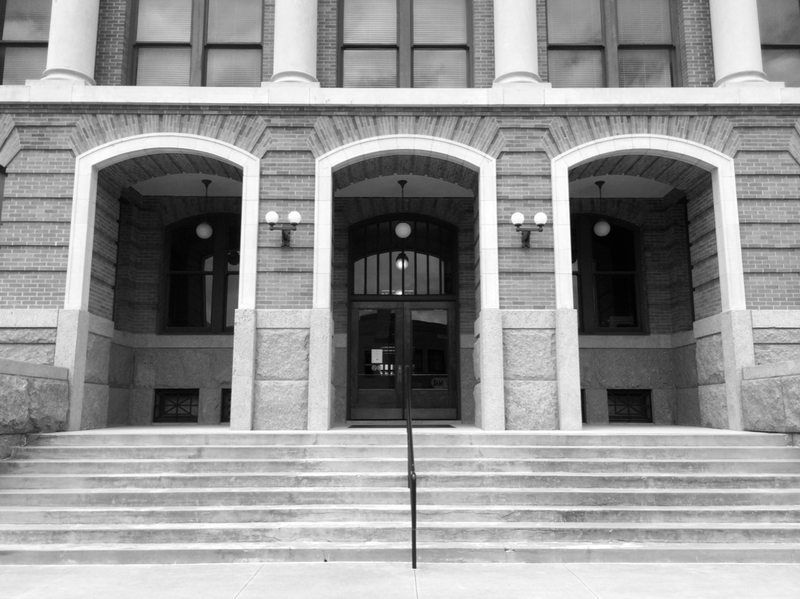 Two years later, the seat moved to Buchanan, and a new courthouse was built that gained only slightly in size. Construction work on the 16 x 16, wooden frame courthouse finished in 1858. Two yeas after that, another wooden frame courthouse was completed, this one standing two stories tall. 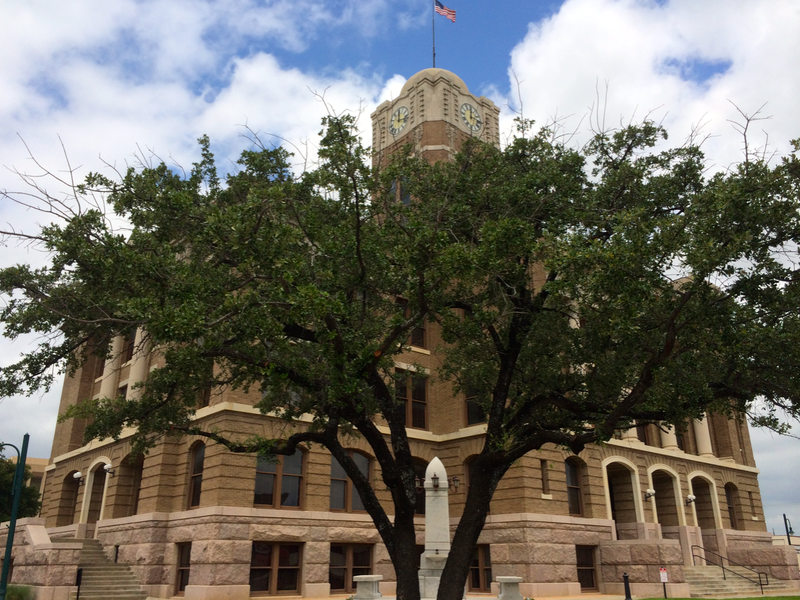 For seven years it enjoyed a comfortable existence in Buchanan until the Texas legislature carved Hood County away from Johnson County in 1867. In search of a newer, more centralized county seat, the county moved the seat once more to Camp Henderson. 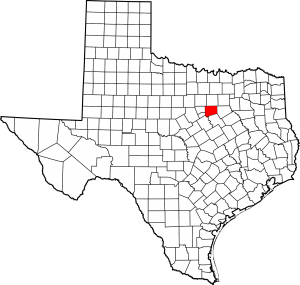 This area was eventually renamed Cleburne. 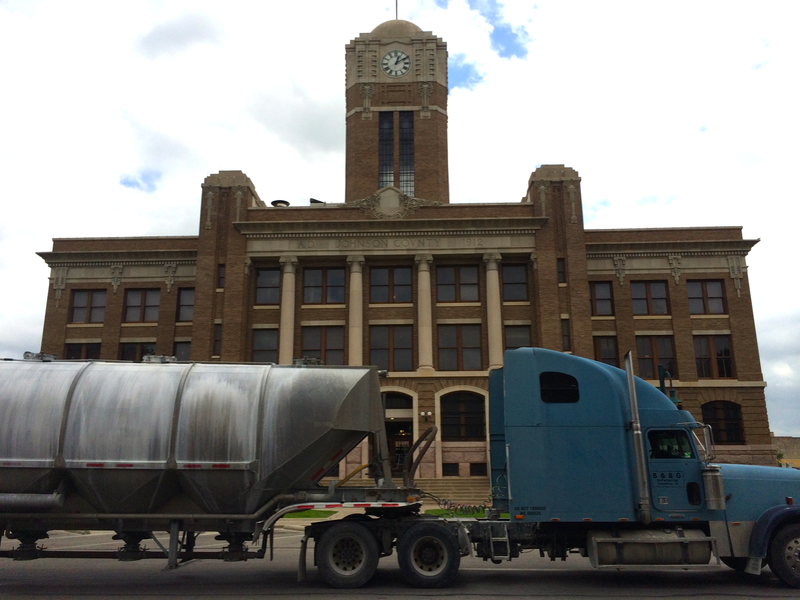 And like the county’s government, the courthouse itself moved as well. 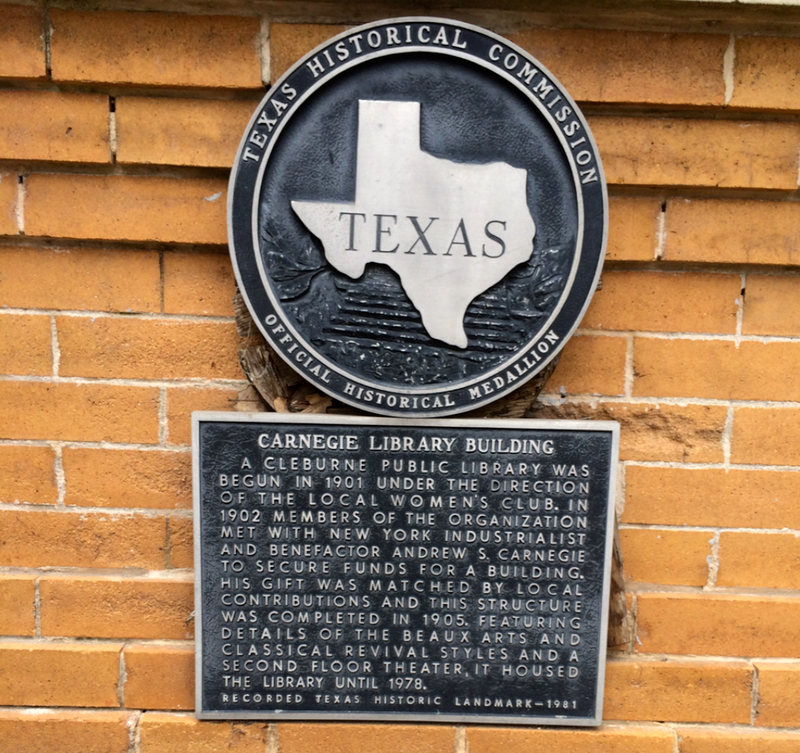 It stood for two years in Cleburne, but was demolished in 1869. 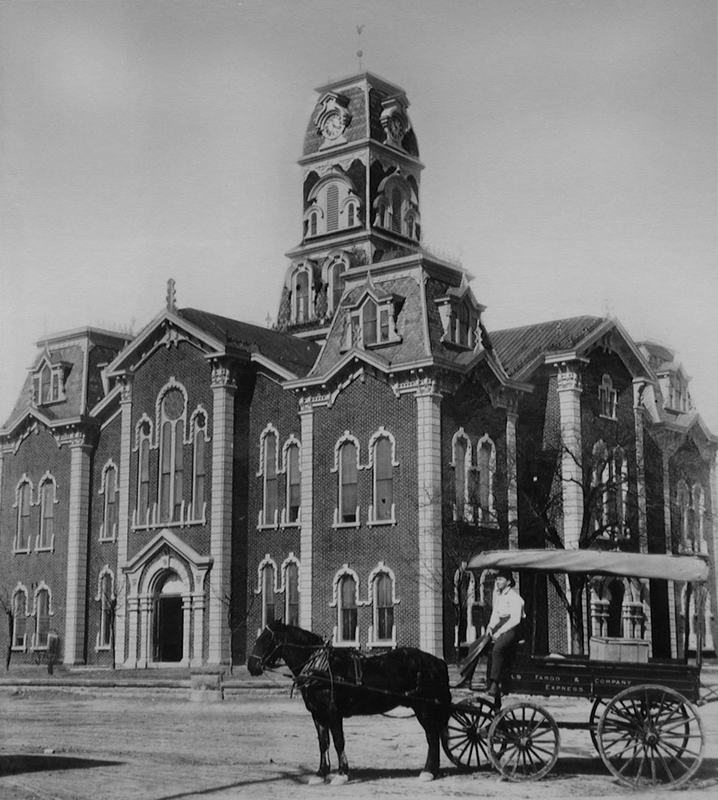 Joseph W. Anderson designed the fourth Johnson County courthouse as a square, two-story, brick building. 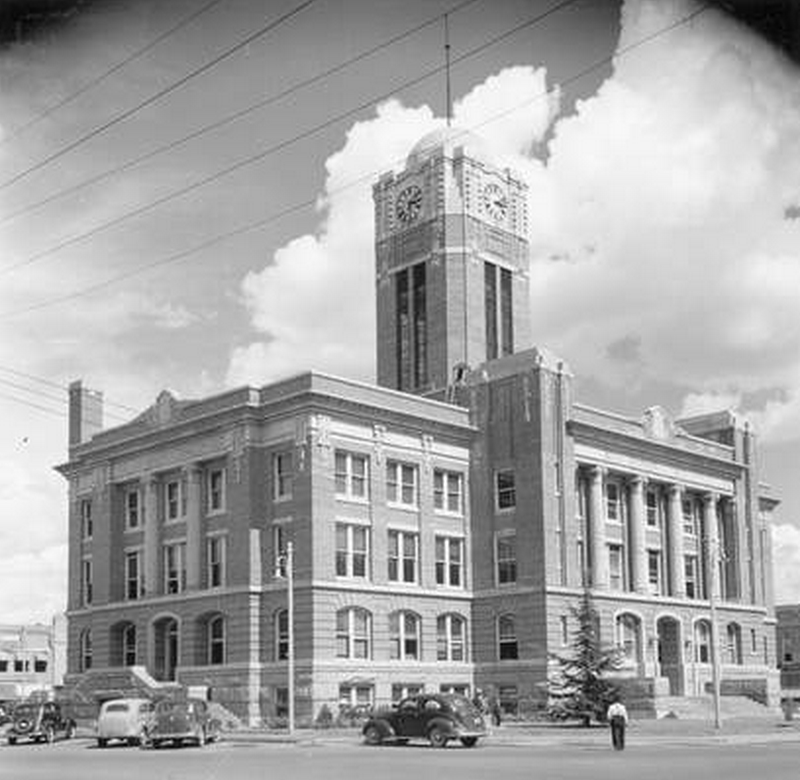 It served for fourteen years until the population of the county forced a move to a much more spacious building. It was demolished in 1883. 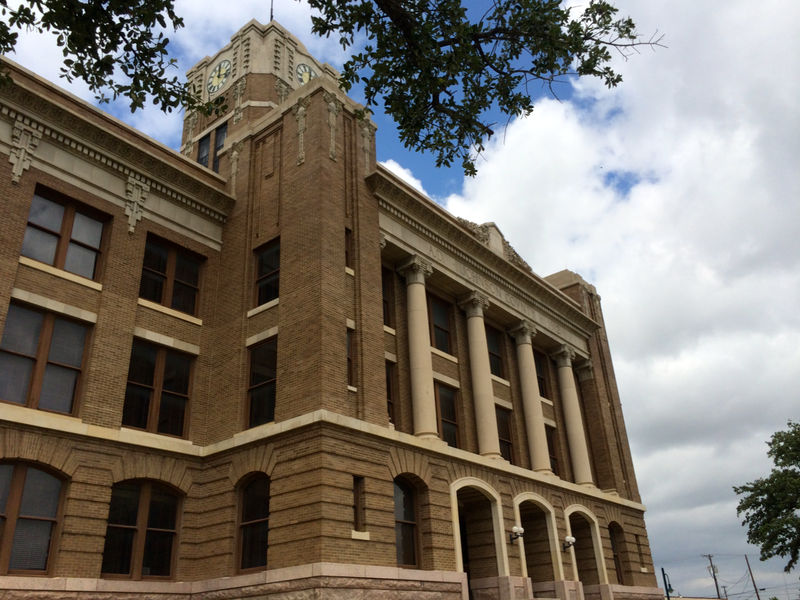 Wesley Clark Dodson, of Waco, was chosen to head the effort for the county’s remarkable fifth courthouse. 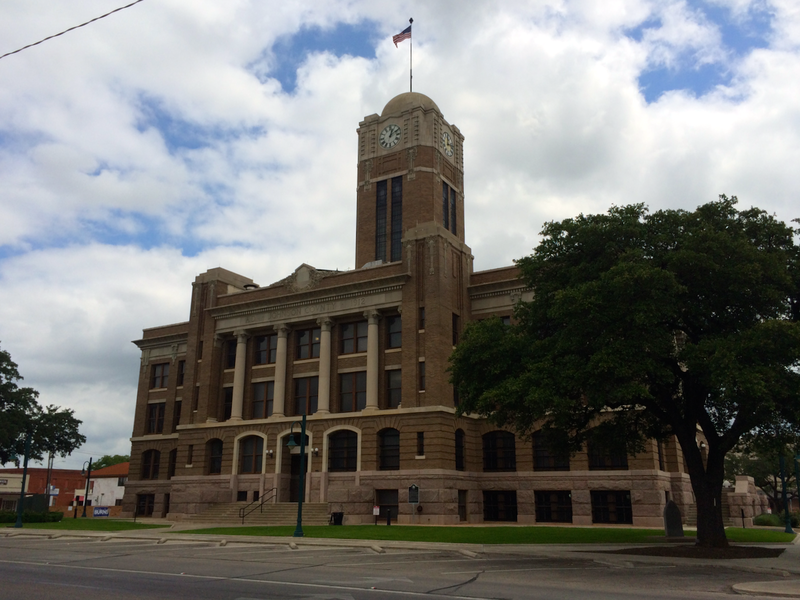 Over the course of his life, Dodson designed a trio of courthouses in this region of Texas in three different counties that all border one another. 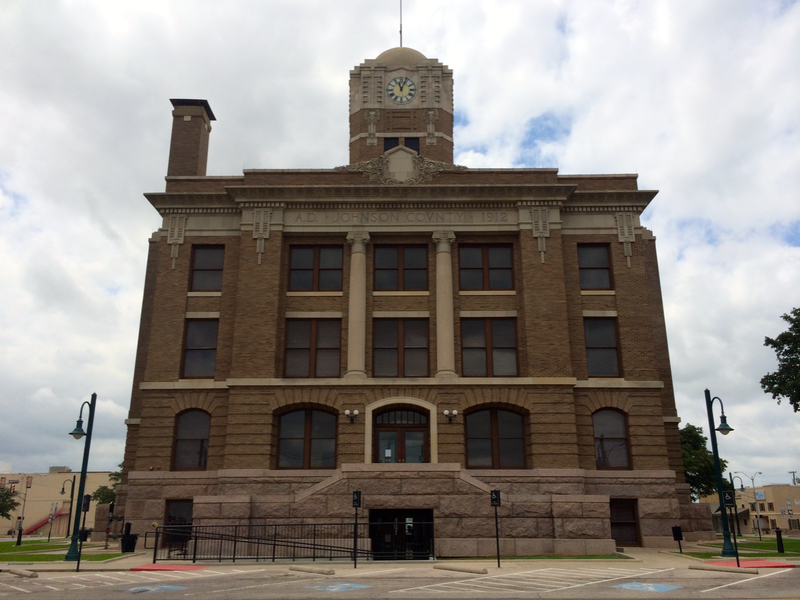 His designs form the foundation of Parker County’s in Weatherford, Hood County’s in Granbury, and at one time, Johnson County’s in Cleburne. 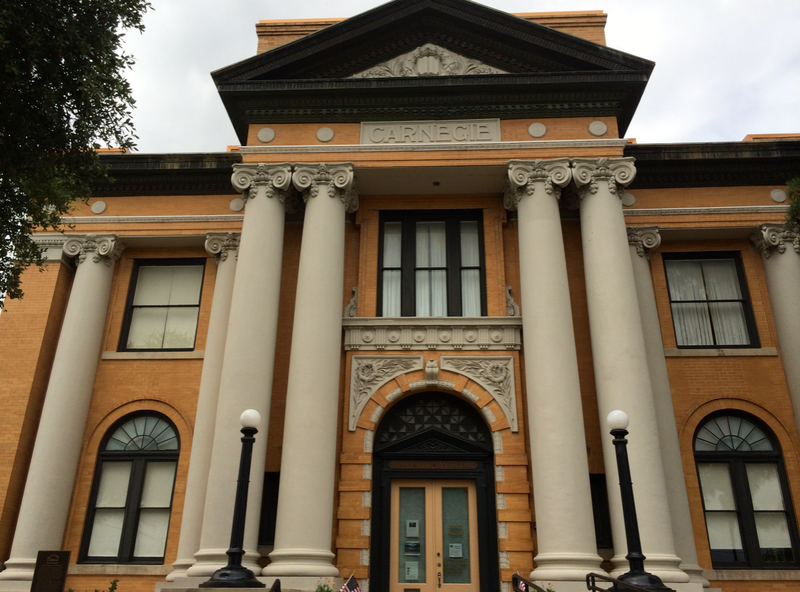 This impressive Second Empire design was constructed in 1883 by contractor Lee Slaughter and cost the county $49,685. The bell tower alone was $4,000. Regrettably, the building burned on April 16, 1912 (one day after the Titanic disaster). 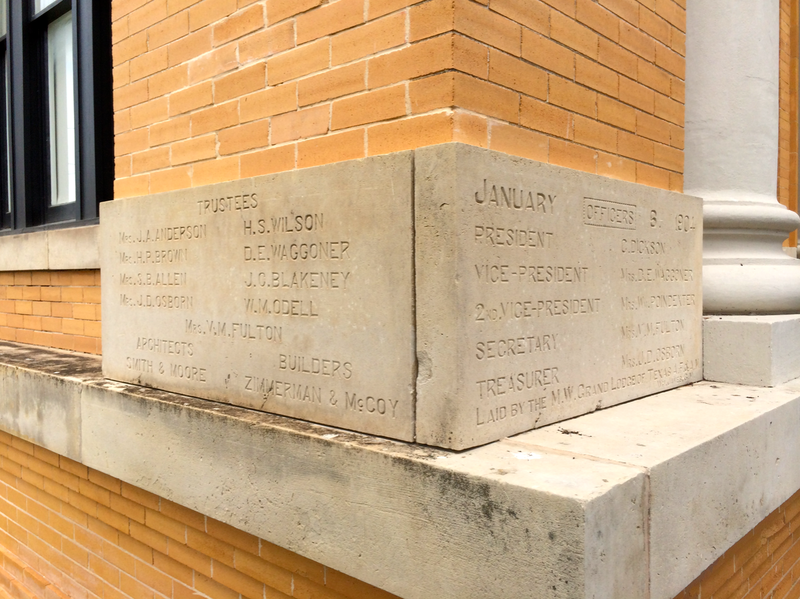 In its place came the sixth and final courthouse in Johnson County’s history. 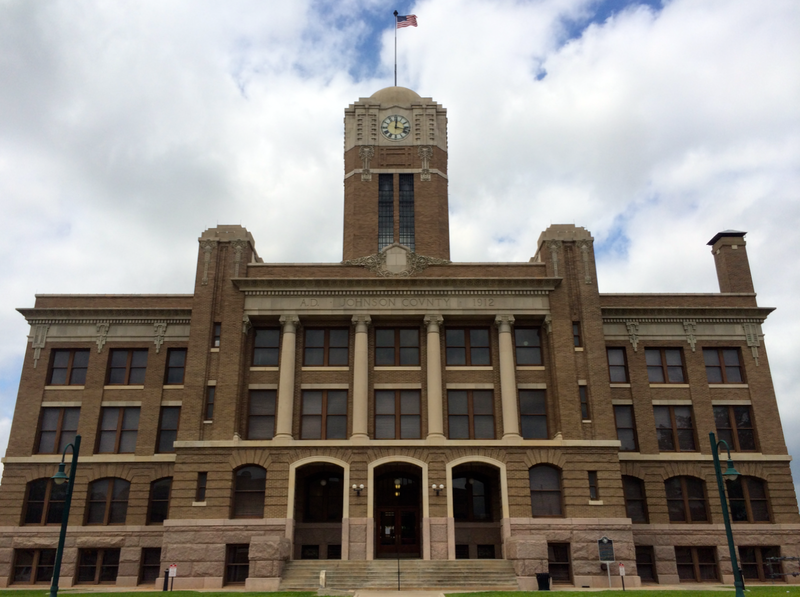 Lang & Witchell, of Dallas, provided the designs and were aided in the process by Charles E. Barglebaugh. Their combination of Classical Revival and Prairie Style elements was built by the American Construction Co. The western entrance faces Main Street / TX-171. Traffic-wise, this is a very busy area. 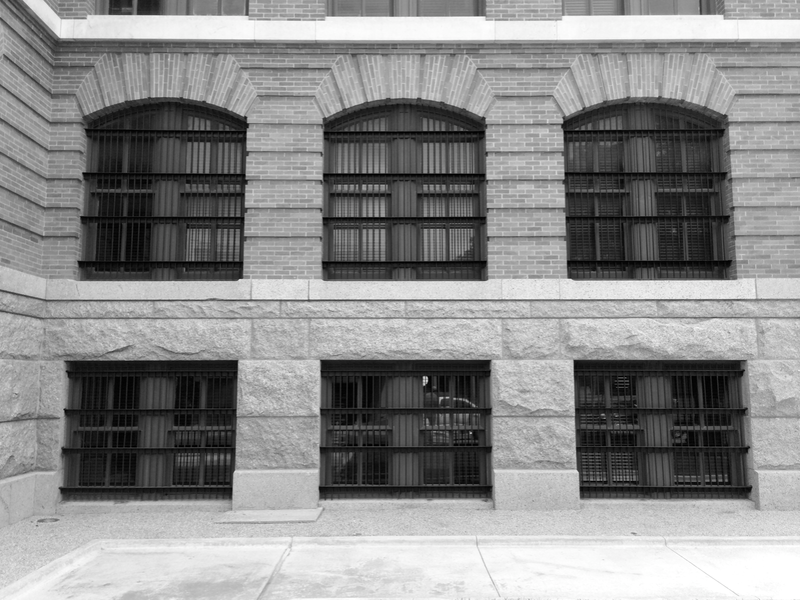 Barred windows on the western side look down into the county records vault. 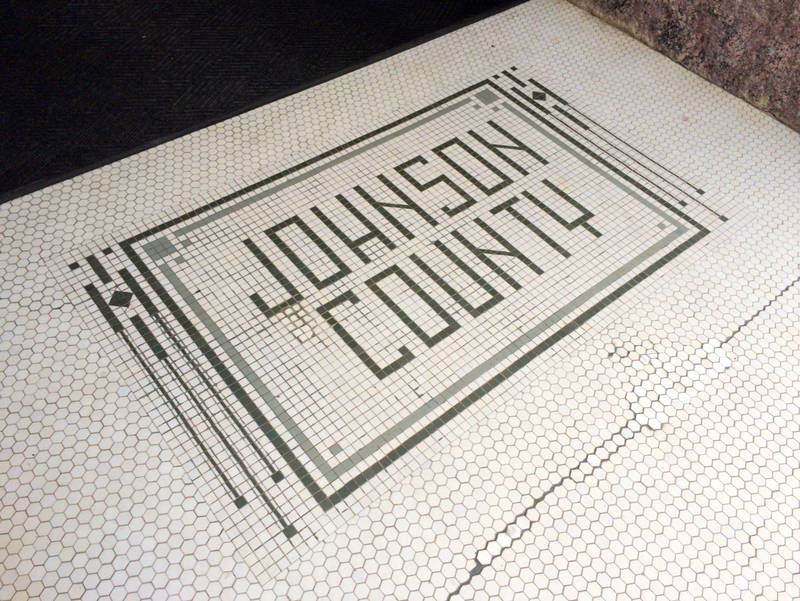 The Johnson County Annex (inside Community Bank) is across Main Street from the western entrance. 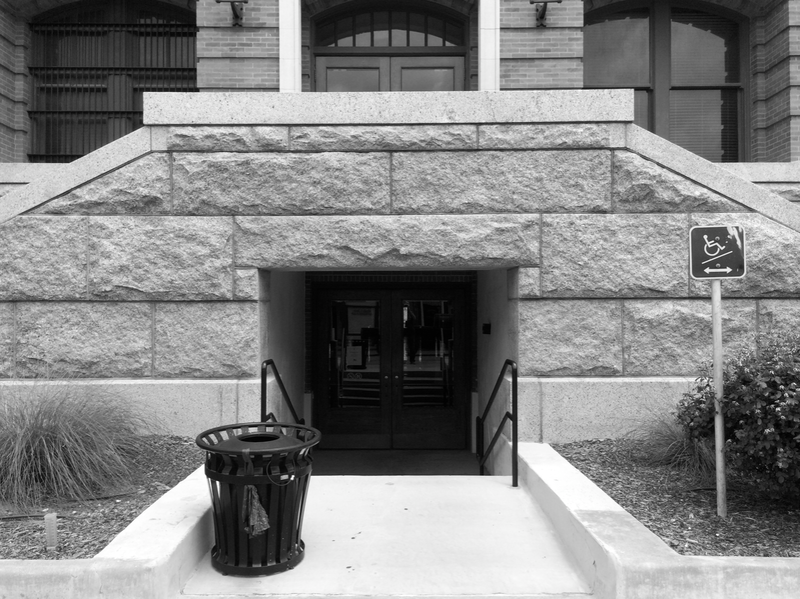 The eastern façade faces Caddo Street. 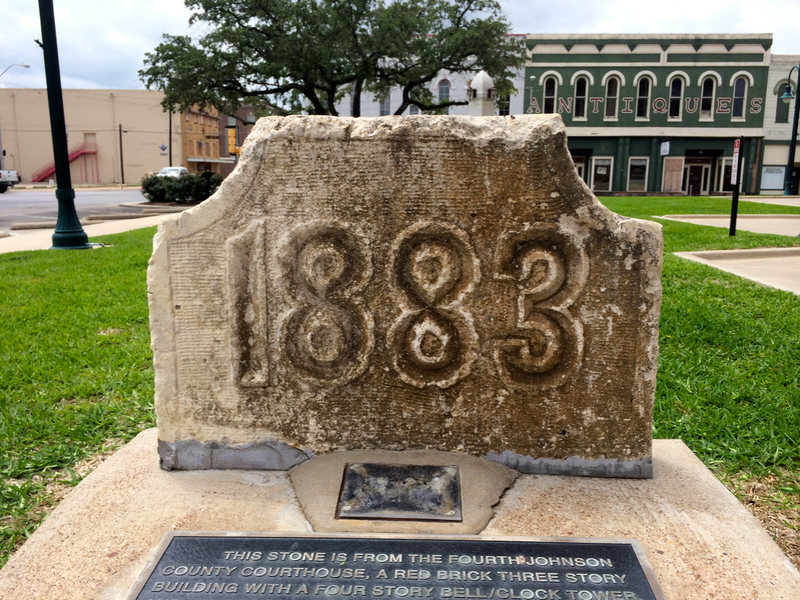 A stone from the 1883 courthouse is preserved on the eastern side of the courthouse lawn. 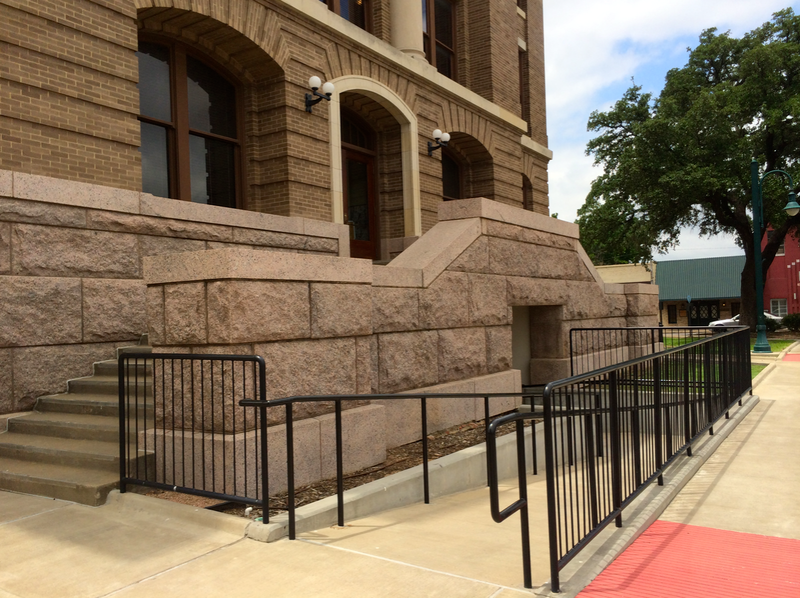 The courthouse handicap ramp is on the northern side. 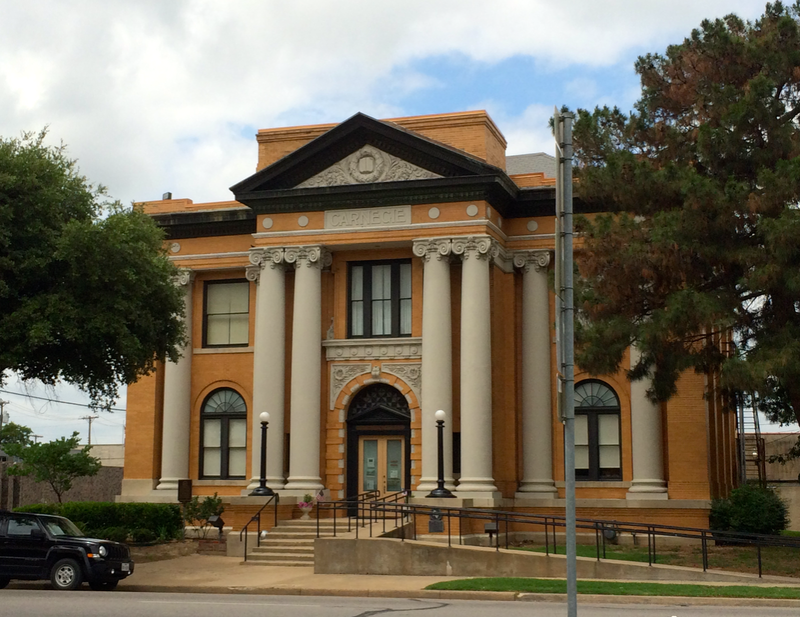 The view from the northern side of the courthouse lawn is of Cleburne’s Carnegie Library. 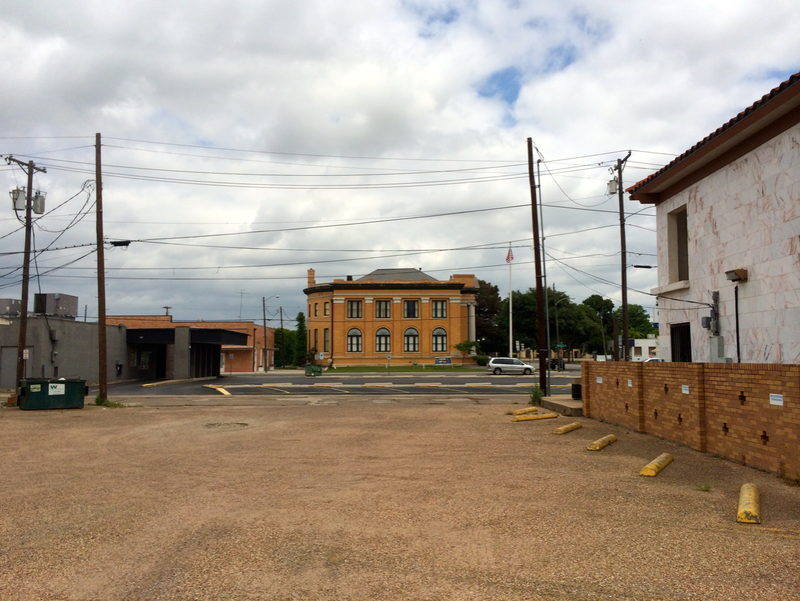 It’s located at the corner of Wardville and Caddo Streets. Today it’s a museum.